Adele’s video for her new single, “Hello”, has earned more than 100 million views on YouTube just five days after its release. YouTube calls it "a milestone it takes most major music videos months to achieve," according to Billboard. "Hello" reached the 100 million mark faster than any other song in 2015 and reached the tally faster than every other video in history with one exception - Psy's "Gentleman," which reached 100 million YouTube views in just four days in 2013. At press time, “Hello” had been viewed more than 133 million times in its sixth day online. 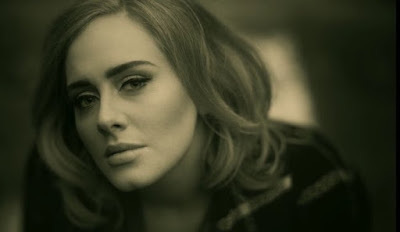 The tune is the lead single from Adele’s long-awaited third album, “25”, which was produced by Greg Kurstin and is due November 20. The UK singer’s last album, 2011’s “21”, was a worldwide smash with sales of more than 30 million copies across the globe. The record was the biggest selling musical release for both 2011 and 2012. Adele will launch “25” with a performance on NBC-TV’s Saturday Night Live on November 21.